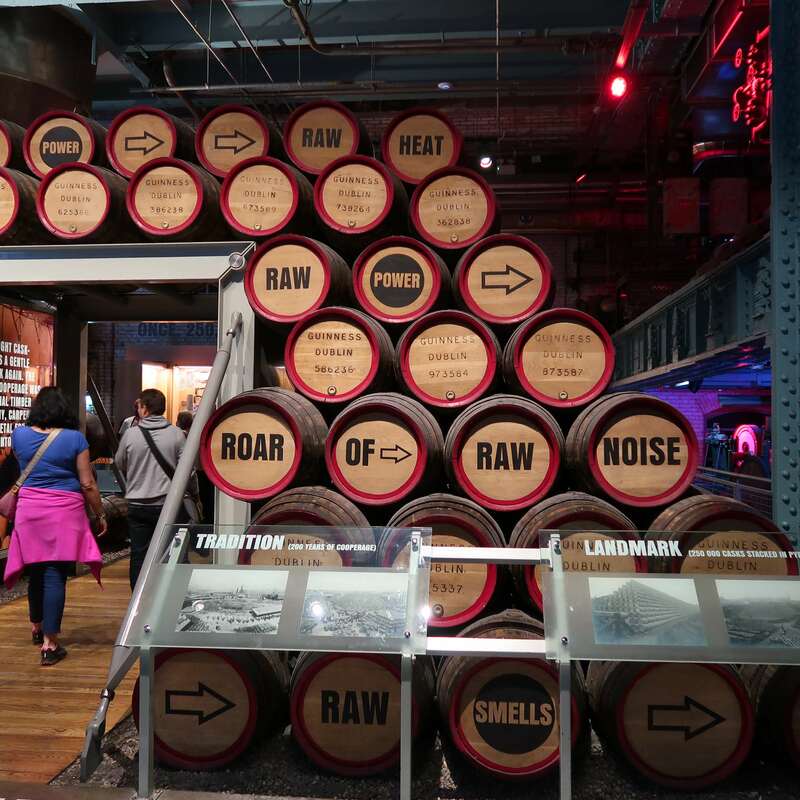 Nick and Kath Whitworth, the founders of Celtic & Co, took a little trip to Ireland recently, not just as a mini getaway but to visit existing and potential suppliers of merino wool for our knitwear collections. Ireland is famous for its traditional cabling techniques using merino wool. Using this soft natural fibre, the Irish convey stories of old in their knitwear, much like old Cornish fishing nets that were handcrafted by women at our local Cornish harbours in years gone by. This intricate detailing can be seen on our Irish-crafted Box Cardi and Cable Plaited Blanket. 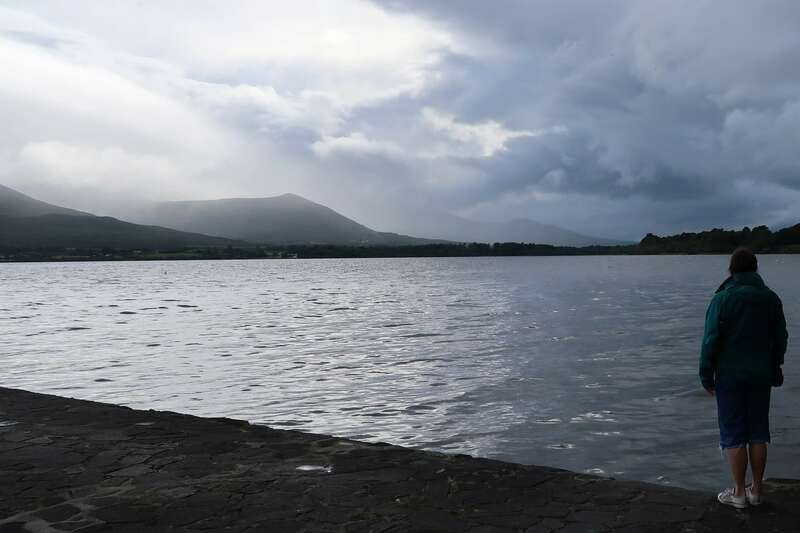 From the hustle and bustle of Cork to the tranquil ruggedness of Killarney’s National Park, here’s some snaps the Whitworth’s took of this beautiful country which shares similarities of our own Celtic home. After flying into Cork and jumping into their hire car, the Whitworth’s set off for Kinsale on the South coast. 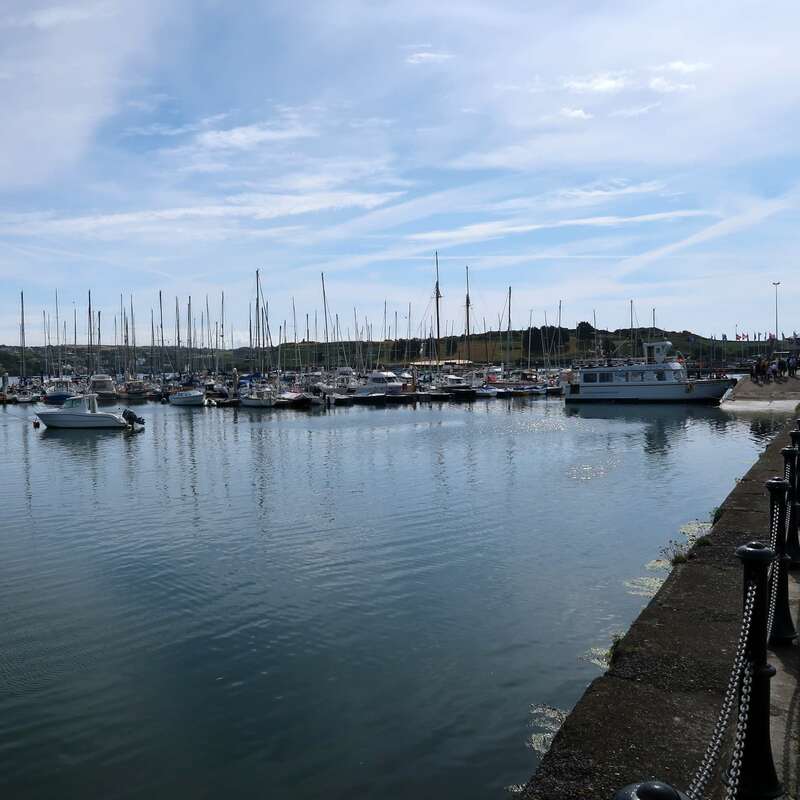 Kath described the town as being a hub for independent coffee shops, yoga studios and little gift shops for tourists set around a harbour – the Irish equivalent to our home town of Newquay! 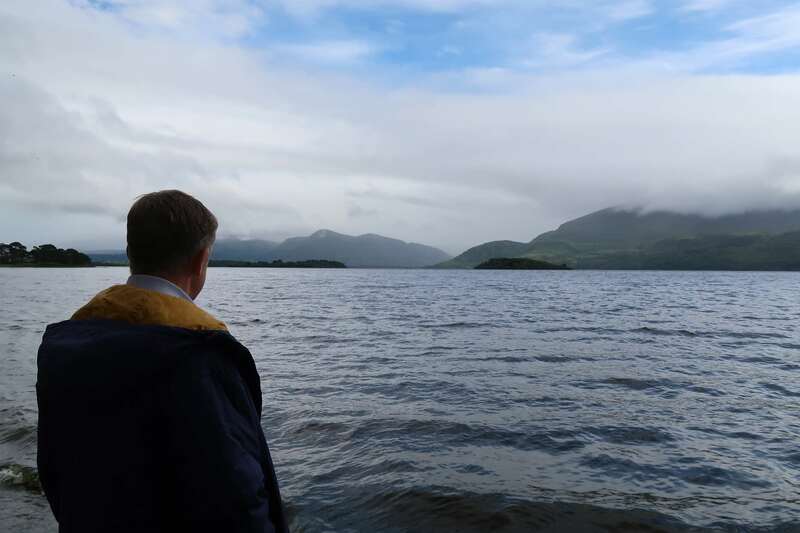 After meandering around the brightly painted cafes and shops, the Whitworth’s headed up to Killarney, a huge tourist town specialising in Aran knitwear set within a vast national park. Shops were full to the brim with a vast array of contemporary Irish and traditional Aran knitwear, from jumpers and cardigans to accessories and homewares. Escaping the tightly packed streets, the Whitworth’s escaped into the Killarney National Park, a place Kath described as “an area of outstanding beauty and peace”. It was here where it became evident to Nick and Kath, that the wild and rugged landscape clearly inspired the knitwear Ireland is so famous for. From the tones of greens in the rolling emerald hills to the hues of the heathers and slate grey lakes in the valleys below. It resonated strongly with our Cornish coastal surroundings which always inspire our collections each season. 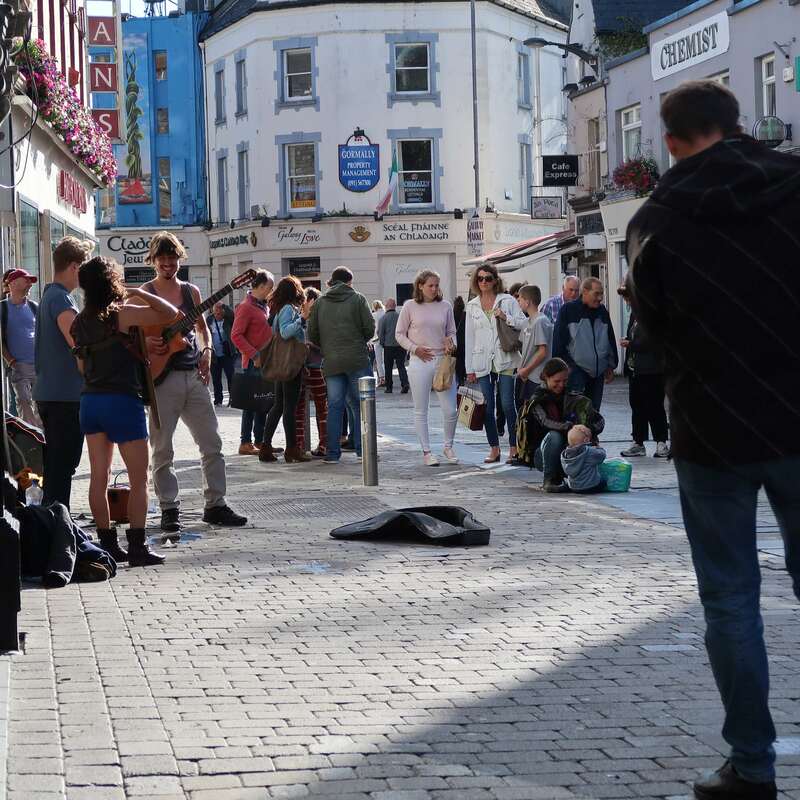 From serene Killarney onto the culture shock of Galway – likened to Glastonbury, the Whitworth’s enjoyed the live music and street entertainers found outside most bars and on every corner throughout the town. 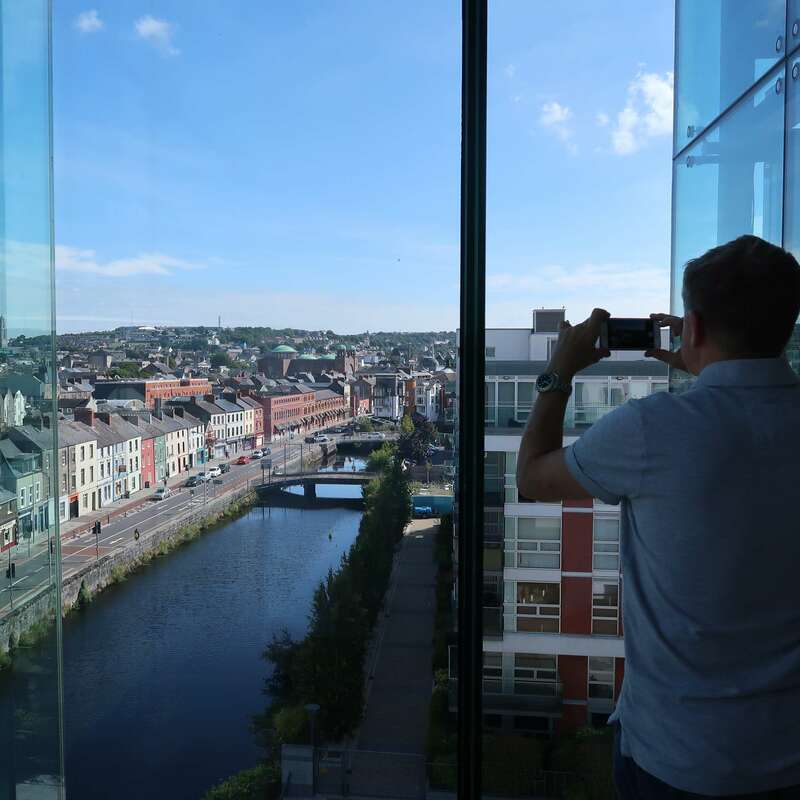 On the last leg of their journey before finishing up in Ireland’s capital city of Dublin where the Whitworth’s enjoyed visiting the Guinness Storehouse (who doesn’t?! ), Nick and Kath visited Westport where our existing merino supplier is based, a mill that has been crafting wool garments for over 50 years. 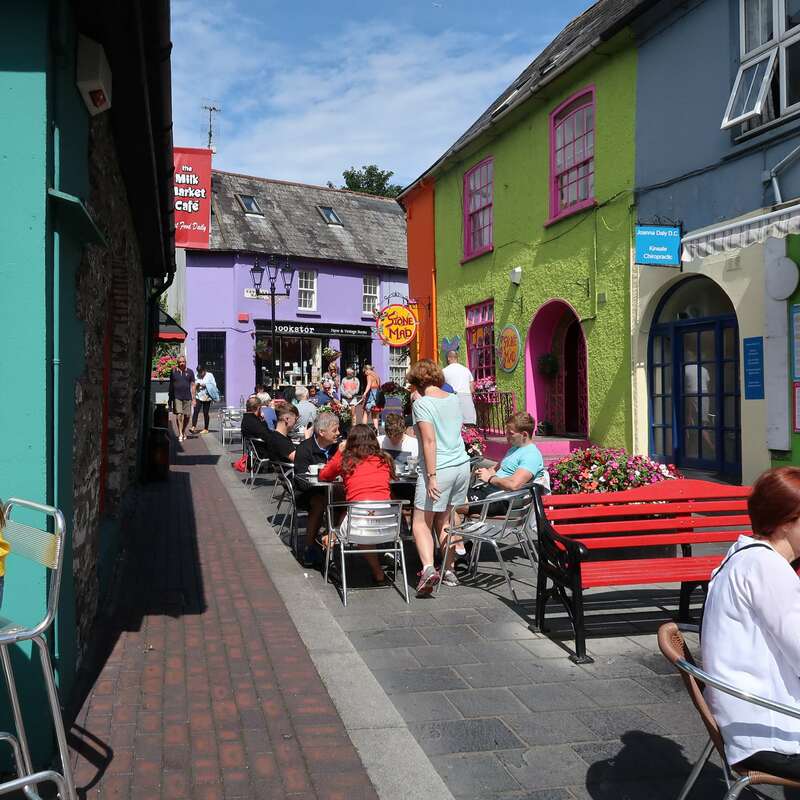 Westport itself is a stunning coastal town that attracts lots of visitors all over the world with its traditional brightly coloured buildings and house fronts displaying gorgeous floral decorations. After spending 5 days on the road, touring Ireland, it was clear how vast the emerald isles are and how the Whitworth’s had only scratched the surface of this beautiful country. They would certainly recommend the trip to anyone, especially those desiring to get away from it all, and escape into nature where there seems to be more sheep than people!